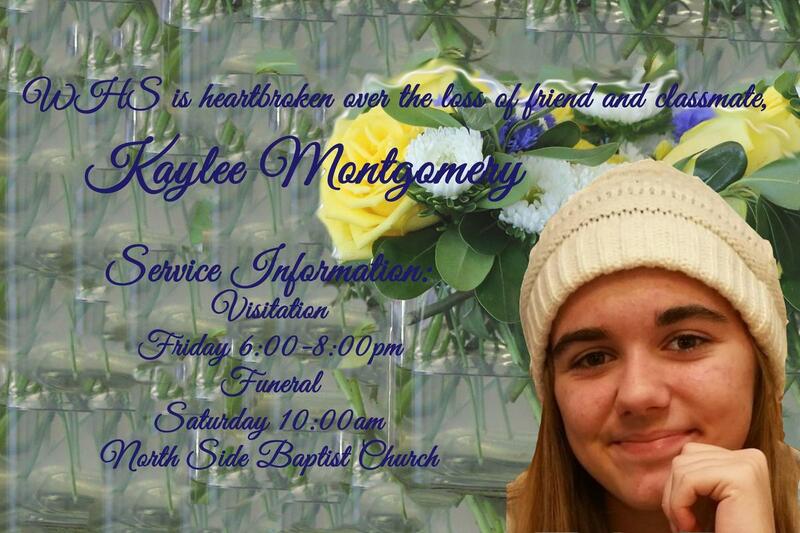 WHS is heartbroken to report that one of our students, Kaylee Montgomery, passed away recently as a result of injuries sustained in an auto accident last Friday morning. As an added measure of care, we will have additional counselors available at Weatherford High School and the Ninth Grade Center to assist students, staff, and parents with this loss. 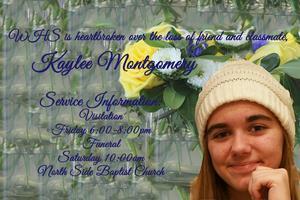 Above all, our thoughts and prayers are with Kaylee's family, friends, fellow students, and our staff. Visitation: Friday, May 25, 2018 from 6:00-8:00 pm at North Side Baptist Church.